Writing about comic book history wouldn't be nearly as fun or gratifying were it not for the amazing community surrounding it. There are so many wonderful people studying comic books who are willing to share their time, knowledge, and expertise in a field which we are all collectively trying to understand. In the grand scheme of things, it is still a very new field of study and we all benefit from one another's research. Anyhow, one such fellow scholar, Steve Rowe, contacted me a while back and gave me some information on the iconic romance comic book artist Tony Abruzzo. It came at a time when it was most appreciated; quite a few other people had been asking me if I had any information about Abruzzo, and at the time, I was pretty much at a loss. So, thanks to Steve and his generosity, I now have some more information on Abruzzo to share for all our benefit! Before I dive in to what I've learned about Tony Abruzzo, it is important to understand the reason why Abruzzo is so darn important. Besides the fact that Abruzzo was an extremely talented artist in his own right, he is in need of remembrance because his work in large part, is what Roy Lichtenstein built his fame on. Now, the whole Lichtenstein thing is a topic for another post, but I don't think anyone can deny Abruzzo's significance in the history of not only comics, but in popular culture and the arts in general. It wasn't so long ago Tony Abruzzo of Ozone Park was designing dresses and his creations were eagerly snapped up by many of Park Avenue's best-dressed women. Now he is at Fort Knox, Ky., drawing tanks, scout cars and jeeps for special training manuals prepared for members of the Army Armored Force. The ex-dress designer, now Corporal Abruzzo, is doing a swell job at his new assignment. "They are a far cry from the old style diagrams. Abruzzo's drawings have perspective. They show the reader exactly what happens under given military situations." Until he was called to service on Jan. 28, Corporal Abruzzo resided at 102-03 103rd avenue. He lived in Ozone Park for 14 years. Abruzzo studied at Pratt Institute and the Traphagen Institute of Design. In addition to creating dress designs, he did fashion ads for the big stores and sold free lance sketches. "I was all ready to go to Paris," he said, "when the Nazi war machine changed my plans. Then I was called to service so I'll have to forget about dress designing for the duration." His aunt was a dressmaker and, as a girl in Italy, his grandmother made trosseaus [sic] for the royal family. He sketches dress designs in his spare time and vainly tries to find copies of the current fashion magazines at the Post Exchange. "But I don't have much spare time," he grinned. "Every day, and quite a few nights, I'm making illustrations for the Army training manuals. "And I don't think the Army khaki needs redesigning. It's made for fighting and I can't think of any improvements. "Until the war is over, I draw tanks instead of dresses." There really isn't a whole lot of concrete information about Abruzzo besides the previously mentioned items. I have not been able to find any details on how he entered into the comic book business, or what he did after, but his legacy remains in the pages of the romance comics. I will certainly do an update if I acquire any more information on this important artist and fascinating man. ...Robert Kanigher walked into my office one day, glanced at the pages, and asked me what I was doing with so many pages by Tony Abruzzo. Several years later I was sitting on a convention panel with John Romita and mentioned this mystery. He not only remembered Tony but told me he had inked some of his stories. That is just about it. How is that for a tragic love story?" Tragic indeed. So today, let's remember and celebrate this amazing artist who doesn't get nearly enough credit for his contributions to modern culture, and hope that someday, more clues on the life of this talented man will surface. 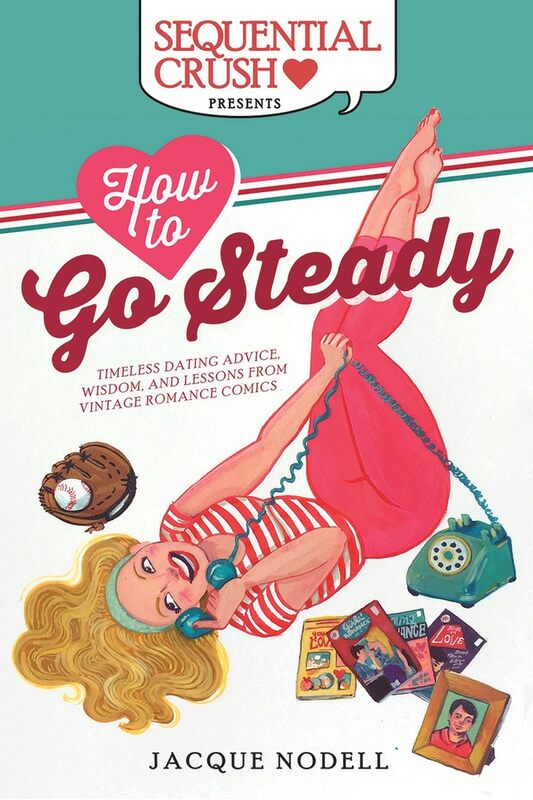 For more information on other creators of the romance comics, read How to Go Steady!